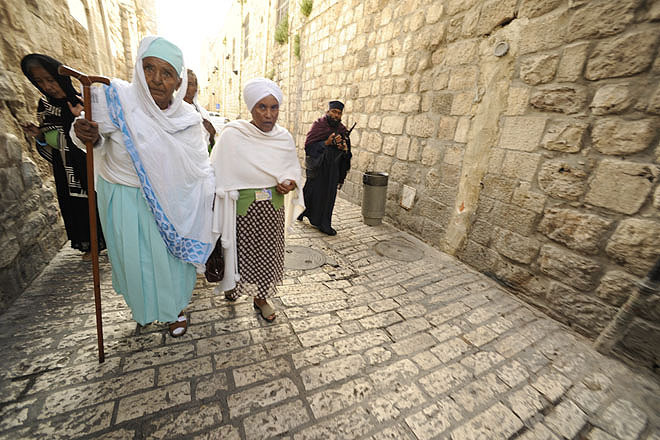 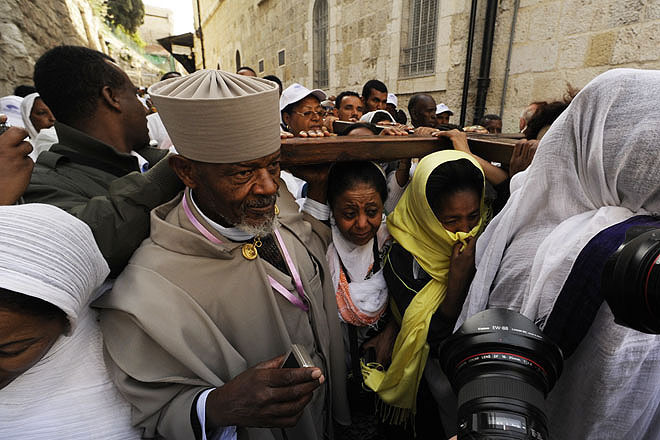 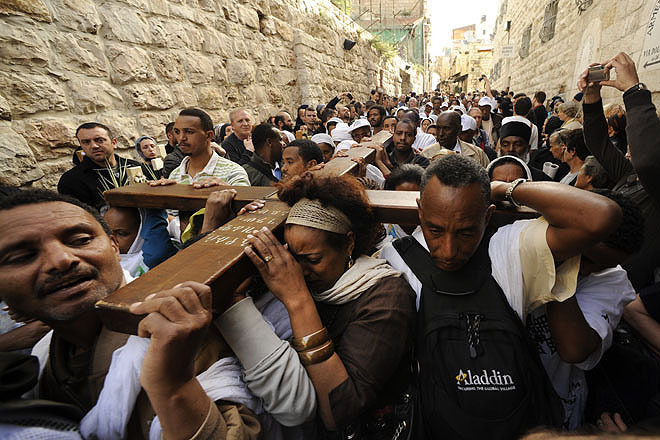 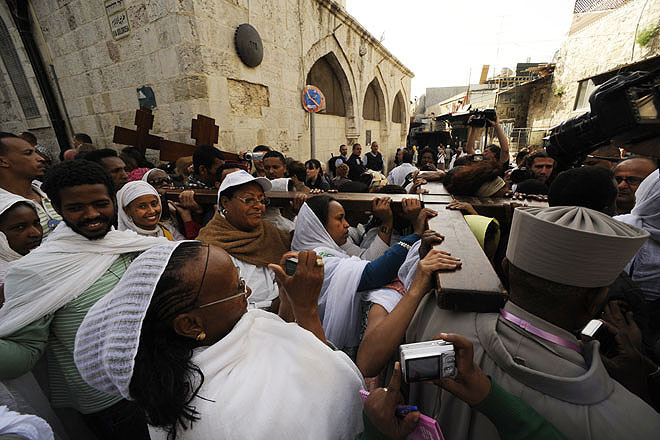 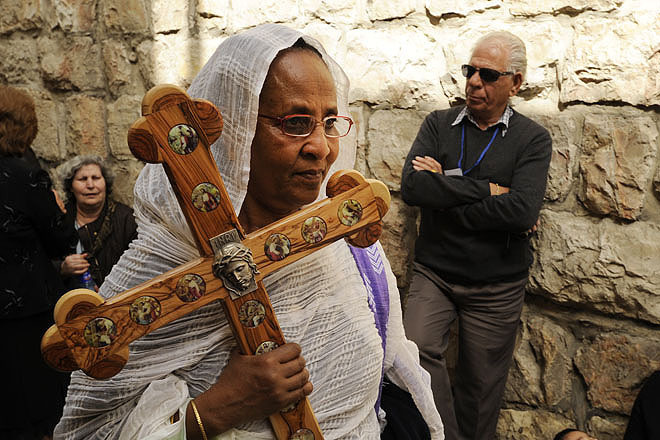 Ethiopian pilgrims on Via Dolorosa on Good Friday. 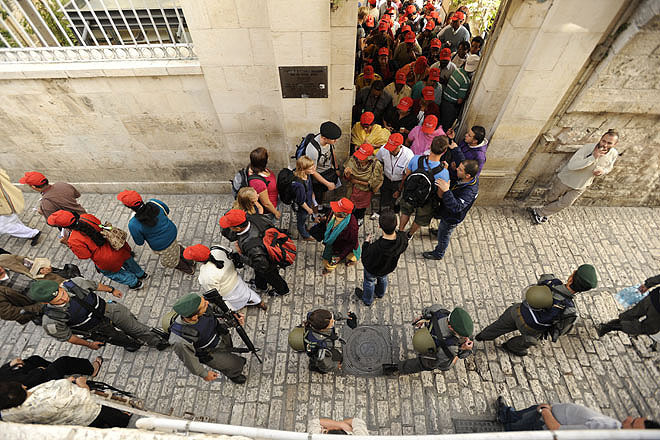 Israeli soldiers and pilgrims mingle on Via Dolorosa on Good Friday. 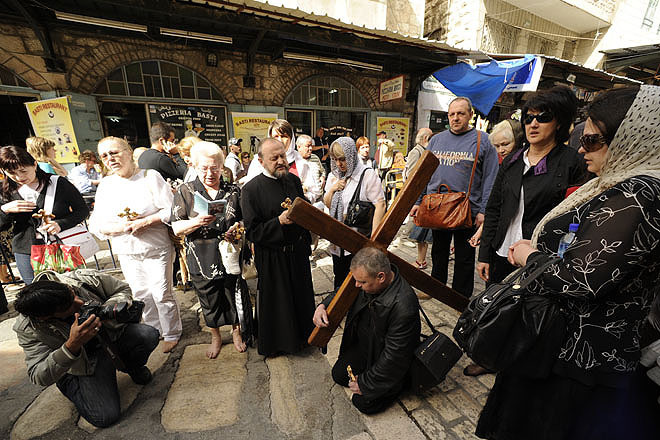 A few beggars try to make a little extra money during the Good Friday processions on Via Dolorosa. 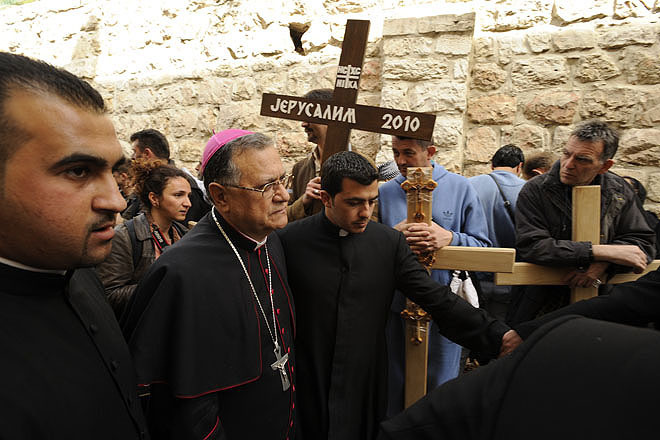 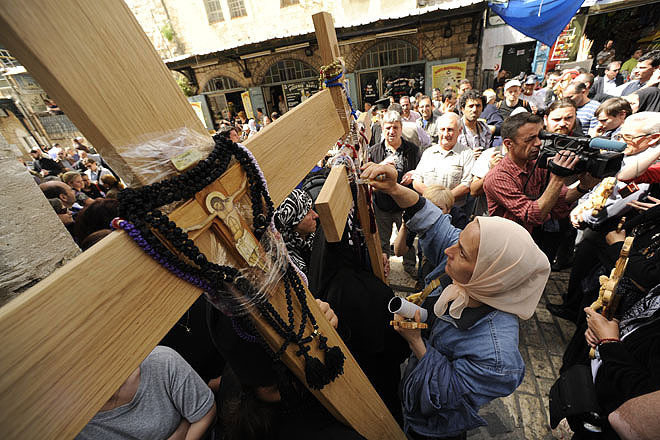 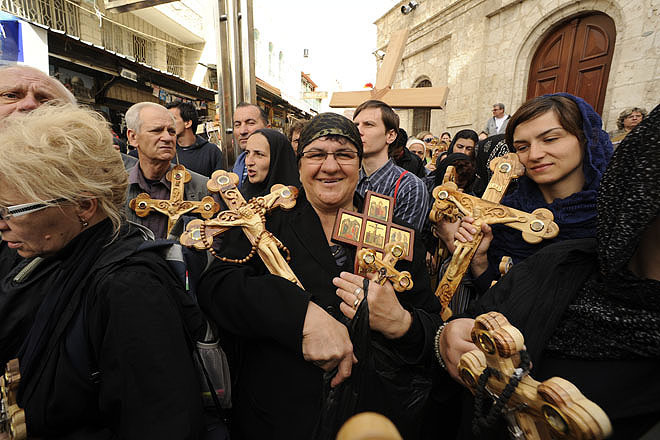 Roman Catholic procession on Via Dolorosa on Good Friday. 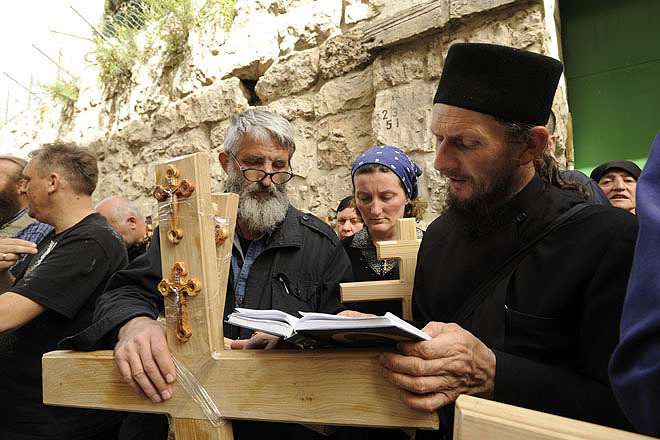 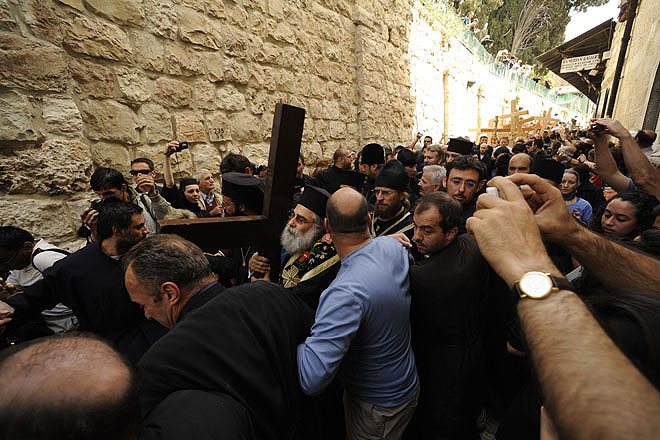 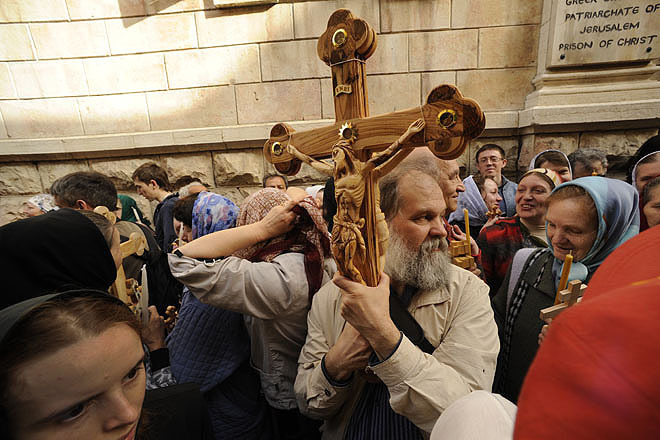 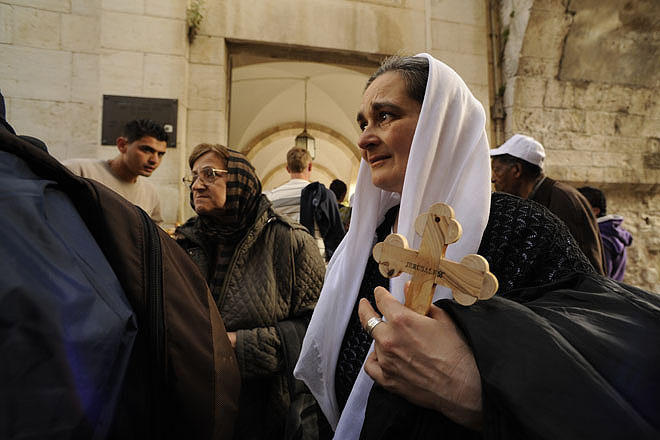 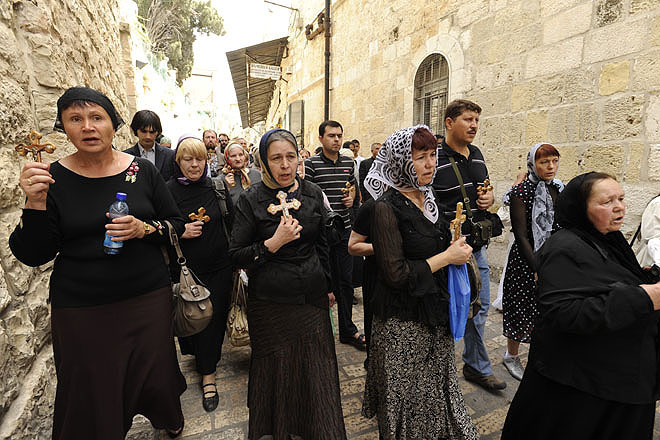 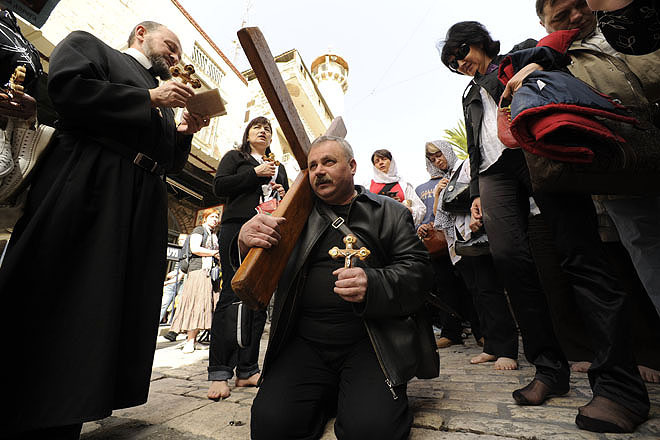 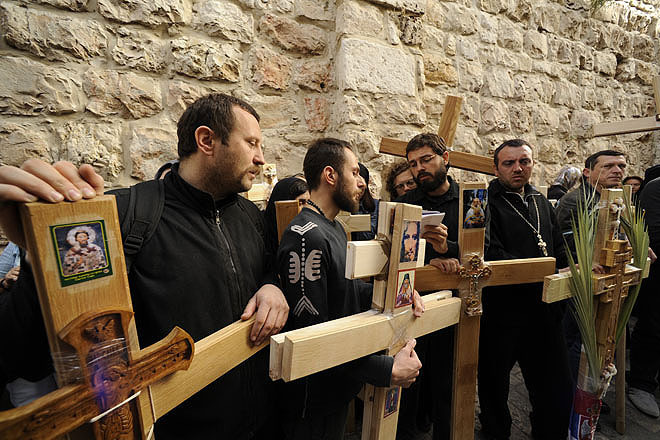 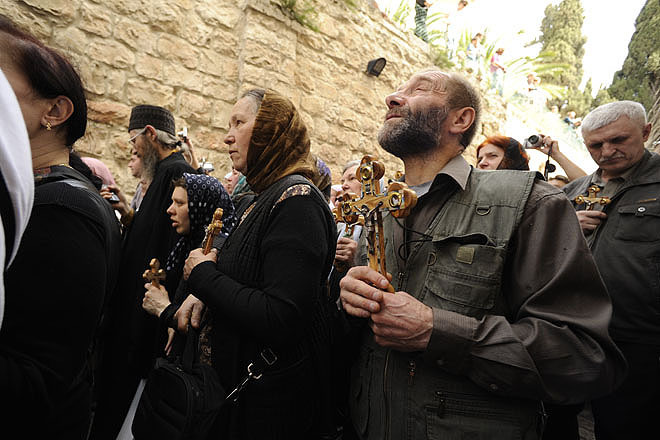 Russian pilgrims on Via Dolorosa on Good Friday. 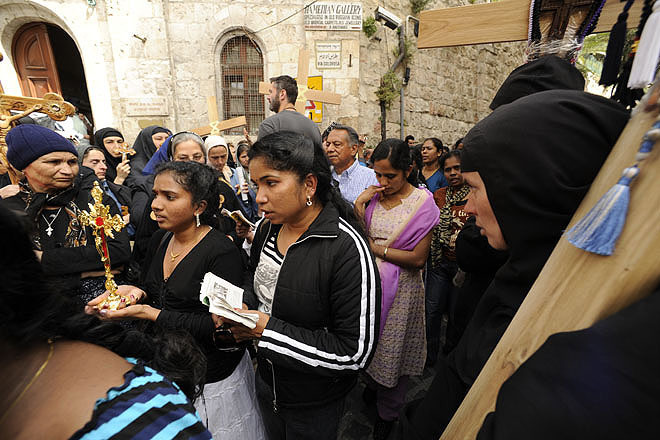 Sri Lankan and Russian pilgrims on Via Dolorosa on Good Friday.